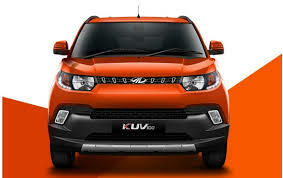 Recent reports claim to have revealed the features and variants of the upcoming Mahindra KUV100. According to the reports, the upcoming compact Kool Utility Vehicle (KUV) will be available in four variants and can already be booked for a refundable amount of Rs 10,000. 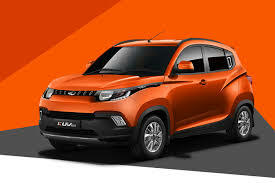 The KUV 100 will be launched on 15th January 2016 while dealers are said to promise a delivery date of mid January depending upon the variant booked. The KUV 100 will come with airbags as an optional feature across all the variants and will be denoted by the “+” sign on the nameplate. Powering the KUV 100 will be a 1.2 litre naturally aspirated, 3 cylinder (mFalcon G80) VVT petrol engine that produces 83 PS at 5500 rpm and 114Nm of torque at 3500-3600rpm and a 1.2 litre 3 cylinder turbo diesel common rail engine producing 78 PS of power at 3750 rpm and 190 Nm of torque at 1750-2250 rpm. 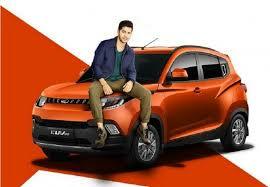 And the teaser shows the Kuv brand ambassador is varun dhawan it so close and ready to launch Once launched the KUV 100 will compete against the Tata Zica, Hyundai Grand i10, Maruti Suzuki Celerio and the Maruti Suzuki Wagon R. Expect Mahindra to keep the KUV 100 in the price range of Rs. 4-6 lakhs until we get you the official prices on 15th January 2016.